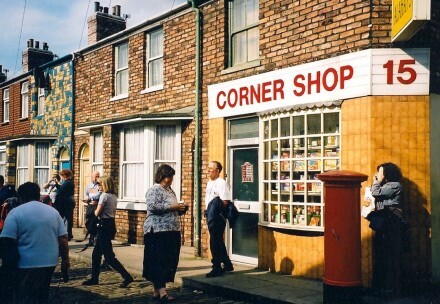 The Labour Party has historically been a pioneering friend to small business. It is the natural friend to and best partner of small firms. My work is based on this understanding and the consequent importance of strengthening ties between Labour and the sector. I believe in the underlying principles of our party and the importance of the role of small business in creating a fairer society. I started SME4Labour with the aim of promoting these principles. We must dispel the myth that the Labour Party is somehow anti-business. There is a sense that Labour sees small businesses as profiteers. While this may be the case among some isolated factions, the overwhelming train of thought makes the party the closest to small business of all Britain’s parties. Labour political centre has a long tradition of recognising the importance of small business. This has been demonstrated by an excellent study by the late Richard Beresford, director of the Centre for Creativity and Enterprise Development at Oxford Brookes University, who sadly passed away last year. His family was kind enough after his death to share this in History and Policy. The study shows that even from its earliest days, Labour displayed a sensitivity towards the interests of small business owners. The party was the first to make any mention of small business in a manifesto. A section in its 1906 manifesto read: “Shopkeepers and traders are overburdened with rates and taxation, whilst the increasing land values, which should relieve the ratepayers, go to people who have not earned them”. From this first mention, we see an implicit understanding that small business owners are not “cruel profiteers” but rather part of the mainstream of society that must organise to resist unfair policies imposed by uncaring governments. Back then, much like today, there was an imperative need to resist a government which catered exclusively to the needs of big business. The study traces the development of Labour thought over the years and we see the recognition time and time again that small businesses play a valuable role in binding together communities. It is true that there are some among the Labour movement’s members or grass roots who do not recognise this. We have a duty to demonstrate to these people the value of small businesses as community hubs, playing a vital role in bringing people together and providing a socially fruitful source of employment. By emphasising this community-focused understanding of ethical small business ownership, we can get the whole party on task, from top to bottom. Small businesses need the Labour Party to support them. Ultimately, why should the Tories care about a guy running a restaurant on a street corner in Lambeth when they have some of the world’s largest companies taking them to lunch? And when they are making policies for these people? Or when they probably went to schools with these people? The Conservative Party has consistently proven through its policies that it cares little for helping small businesses over massive corporations. Labour principle of fairly distributing wealth and securing social justice requires a flourishing but ethical economy. Small businesses are crucial to this; they provide employment and create wealth. Due to their size they can do so without losing a community perspective. For these reasons, Labour is right to praise small business and should do so even more. I started my business under the last Labour government and it felt like the right thing to do. My business has flourished but now I am concerned. I do not see my interests reflected in the policies of this government. I want my party to step in and take control of the economy. Labour needs to hear more from people who are self employed or who run SMEs; the same goes for the trade unions. Before starting my business I was a trade union member, and I still am today. But there is this idea among a few in the union movement that small business owners are part of the problem. It is time the unions adapted. It is attitudes such as these that hold back the Labour Party and prevent it from fully fulfilling the promise of its mission. Small business owners and the self-employed need unions. They do not receive the same protections as salaried workers and we have seen this government attempt further erosion of their protections and increases of their obligations. Labour and such people are natural fellow travellers. They contribute to, rely on, and value their communities. They drive the economy forward. They are vibrant and creative. These are qualities that go hand in hand with those of Labour. Indeed, small businesses face a host of problems, such as late payments and raising capital. Since at least the 1970s, as Beresford’s study shows, Labour manifestos have been engaging concretely with such dilemmas. Labour is the party of small business and it is time that we stand up and say it proudly. This will make the party more electable. Having a party in power that focuses on small firms and communities will make our society and economy stronger. It will make our private sector more successful. This is the way forward and it will benefit everybody in society.